China’s campaign against VPNs continues with domestic e-commerce sites such as Alibaba and Taobao the latest to find themselves in the firing line. As regular readers will know, the Chinese Communist Party has been cracking down even more on online freedoms this year in the run-up to their 19th National Congress of the Communist Party meeting towards the end of the year, when current President Xi Jinping is expected to reassert his control over the one-party state. The Chinese regime seems determined to exercise complete control over the flow of information within China. It has long undertaken a comprehensive programme of online censorship and surveillance, but until now has turned a blind eye to VPNs which many Chinese people use to enable them to access the internet unimpeded. However, they are now targeting VPNs with a nationwide ban coming into place on February 1st next year. As part of this crackdown, many local VPN services have been shut down, while Apple has bowed to pressure and removed more than 60 VPN apps from their Chinese app store, despite much criticism from the wider world, including the UN, for their decision. 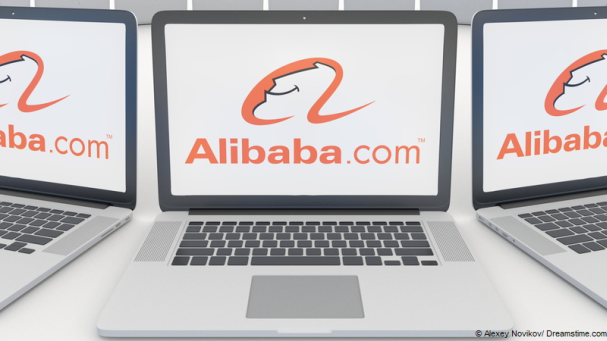 It seems that the focus has turned inwards, with Alibaba and Taobao amongst five e-commerce platforms which Reuters has reported have been instructed by the regime to “carry out immediate “self-examination and correction”. These platforms have reportedly been used to enable vendors to sell access to VPNs which will shortly be illegal in China. The other platforms affected are Mogujie, a female-focused social shopping network, and two of Chinas biggest entertainment platforms, Peiyinxiu and Xiami. In a notice posted by the Zhejiang provincial branch of the Chinese online regulatory body, the Cyberspace Administration of China (CAC), the e-commerce platforms were instructed to halt registration and close accounts of relevant vendors and punish any staff which were responsible for what they had been doing. All of the platforms which have been targeted are considered to be close to the regime and believed to always comply with any censorship or surveillance requests given to them. One spokesperson made it clear that they would be complying with this latest request as well. It is the second time this week that domestic Chinese online companies have felt the wrath of the Communist Party regime. It was reported earlier this week that China is investigating some of the country’s most popular social media sites over a failure to comply with online regulations. The new laws ban any content which the Communist Party deems to be obscene, violent, or offensive. The definitions are pretty broad, but it seems that some of China’s household names may be in trouble. Like the e-commerce platforms mentioned above, both Tencent and Baidu work closely with the Chinese regime on censorship and surveillance and while Tencent and Weibo are yet to comment publicly Baidu’s has already indicated it will be cooperating fully. Both moves indicated how seriously the Communist regime is taking this latest online crackdown. It is unusual for local and loyal businesses to be publicly targeted in this way. The news suggests that the regime will take no prisoners in their efforts to gain complete control of what information is available online. Xi Jinping has been pushing the concept of cyber-sovereignty over the past few years and this is another step down that road. It is a policy which appeals to many global dictatorships and oppressive regime but is a fundamental threat to online freedom. Until now, VPNs have been the main means of unimpeded access to the internet. In China, that is now becoming a good deal harder.